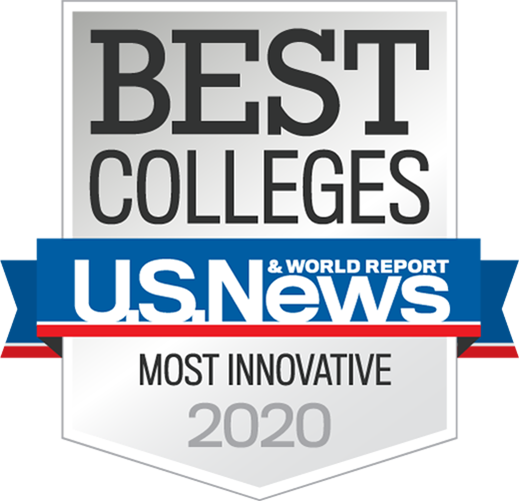 ASU staff make ASU #1 in innovation. Join us. ASU consistently ranks as the most innovative school in the nation, ahead of schools like MIT and Stanford. That’s because ASU staff members work hard to create ways for students to get the most out of their time at the university. ASU staff are #1 in innovation. Learn why. Are you an ASU staff innovator? Apply for the President’s Award for Innovation. The President’s Award for Innovation provides formal recognition to ASU faculty and staff who have made significant contributions to ASU and higher education through the creation, development, and implementation of innovative projects, programs, initiatives, services, and techniques. Learn more about what makes ASU #1 in innovation. We work hard to create ways for students to get the most out of their time at the university, whether it’s using technology creatively or providing unique research and funding opportunities. ASU is advancing a culture of innovation in broad service to its students, Arizona and society. Entrepreneurship + Innovation at Arizona State University connects you to the information, resources and people that can help you turn your ideas into reality. ASU is #1 in Innovation. It’s the Sun Devil way. ASU is designed for innovation. Ready to start talking innovation with your team? This page was produced by ASU staff for ASU staff. Learn more.